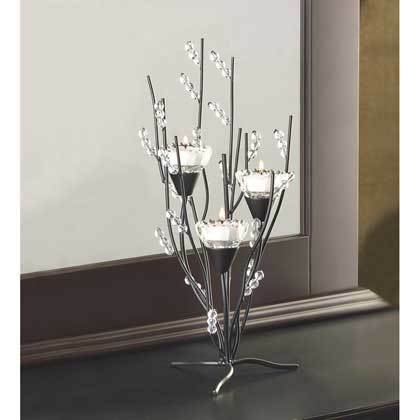 12055 Crystal Tree Tealight Holder Tree home decor, jewelry, decor, decorations, electronics, fountains, floor mats, art glass, vases, garden essentials, fireplace screens. Metal, glass and acrylic. Candles not included. 6" diameter x 13 3/4" high.